Yesterday we celebrated Levi's birthday (although his actually b-day isn't until Thursday). 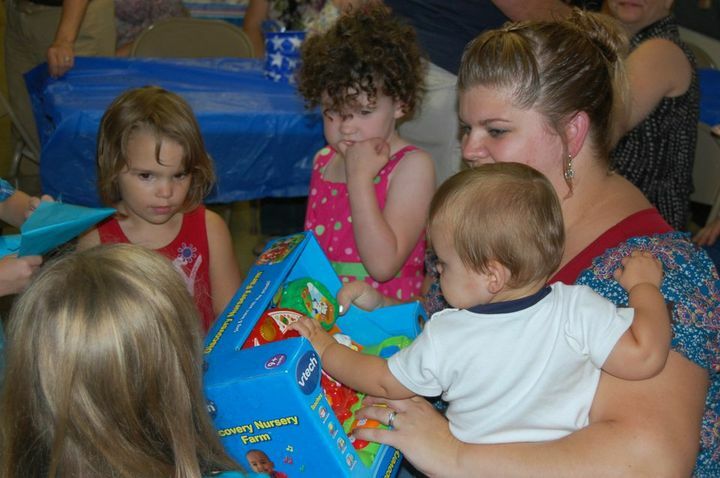 It rained like crazy here in central PA, so our outdoor party got moved to the church basement. There were about 50 people; we ate snack foods, watched a movie (more on that later), opened presents, demolished a cake, and spent time with the people most important in Levi's life. Opening gifts was a crazy ordeal. I tried to use Lauren's idea of having each kid open the gift they brought, but there were more gifts than kiddos, so it turned into a when-is-it-my-turn-to-open-the-next-present situation. It was chaos, but so fun! So back to the post title, homemade birthday delights. It's not just stock photos of apples and zebras; each alphabet letter has something personalized to Levi and his delightful little 12 months of existence. This is an awesomely personalized gift I would love to copy, and I am so jealous that I did not think of it myself!! If you want to make one for a little man or lady in your life, and you don't have thousands of pictures like my brother does, you can always download stuff from their parent's facebook profile. I didn't really get to look at the book yesterday at the party, but when I read it to Levi today, I got all choked up out of the thoughtfulness and sentimental value of the gift! 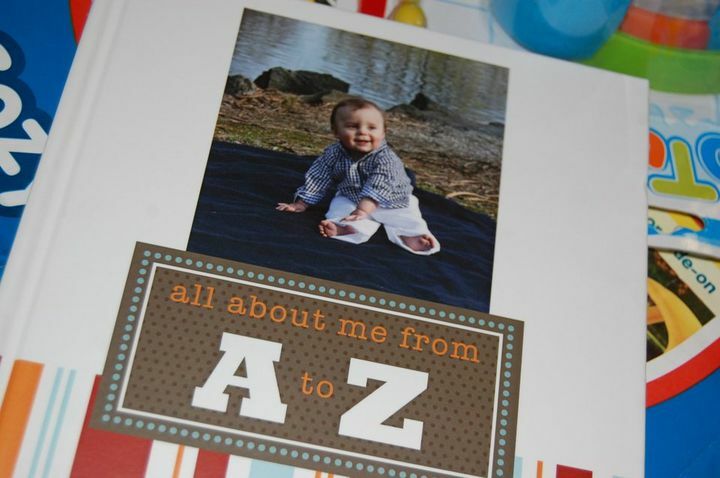 And it's fun because it's kind of like a non-traditional scrapbook that gives and overview of his first year! Check back tomorrow for another Homemade Birthday Delight! !